ISSA was amazing and it was all thanks to you! We couldn’t believe the outpouring of support we received from you all and can’t thank you enough for taking the time to stop by and take a look at all of our new products! We learned so much from this show, and from you, that we will carry with us into 2016 and beyond! It was incredible to see all of the remarkable innovations and industry leaders that shared their time and expertise while we enjoyed the flair and fun of the Las Vegas Strip! Our favorite part of the week, of course, was getting to talk with you at our booth. 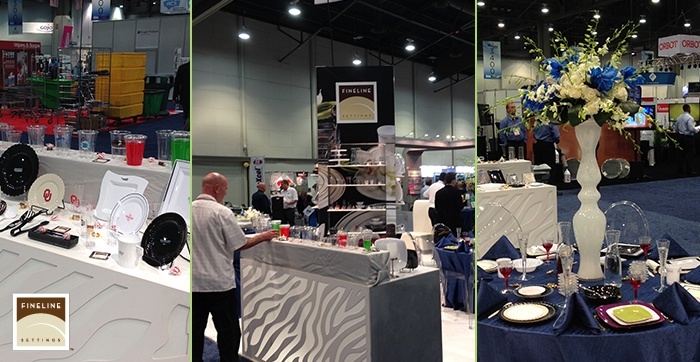 Not to mention, it was so exciting for our hard-working sales team to get the chance to show you, first hand, some of our newest innovations in the disposable catering industry we have to offer! Fineline Settings certainly hopes that you had as much fun as we did, and we’re already prepping for next year! We hope that getting the chance to speak with you personally helped to show you just how passionate our team is in creating and providing the highest quality dining disposables in the industry! We can’t wait to see you next year, and hope that your up-coming holiday weekend is spook-tacular and full of fun! It was certainly a TREAT to visit with you this year!